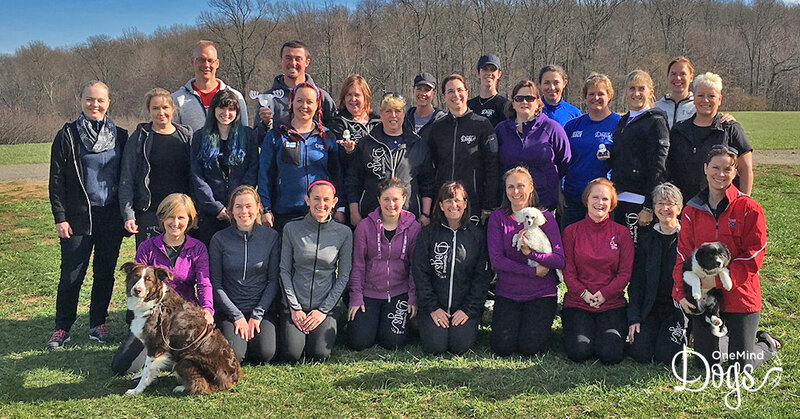 OneMind Dogs coaching team brings together the best agility instructors and competitors in the world. What makes OneMind Dogs Coaches exceptional? We have learned to see things from the dogs' point of view. Our coaches travel around the globe, teaching agility with amazing success. Our greatest moments are when a student and dog make a breakthrough in understanding each other, and the student says, "why didn’t anyone ever tell me that before?" Our methodology is based on the skills that a deaf dog taught us. This means that we can have wordless understanding with the dogs. Finding that magical connection is a great asset, in life and on agility courses. We live and breathe agility. Practicing with our dogs and coaching others is our passion, and the dogs' wellbeing is our number one priority. Our exercises are fun for both dogs and handlers. Imagination helps to keep the training versatile, and new types of exercises also help to develop the sport further. As coaches, we are very honest when giving feedback. This is because we have the best interest of both the dog, and the handler, in mind. Dogs and handlers are individuals, and we take that into account when coaching. We are passionate about sharing our knowledge and helping handlers to get to their personal next level with their dogs. As coaches, we all have different areas of expertise, and they complement each other extremely well. We have coached a lot of teams to the top level over the years. We believe that with our help, you will be able to learn to understand your dog even better! Join the OneMind Dogs pack and let us help you connect with your dog. Whether you are already competing in agility, or a complete beginner, there is a place here for you. Are you interested in hosting a OneMind Dogs seminar with one of our coaches in the future? Please fill in the seminar request form! With regard to weave poles, I am confused as to the use of the terms "on-side" and "entry side".